Should I Expect to Pay Spousal Maintenance? One of the most common questions that those who are facing a divorce often have is whether or not alimony will be ordered in the divorce judgment. In many cases, alimony—or maintenance as it is known in Illinois—is a point of serious contention with each spouse’s opinion in direct opposition to that of the other. If you are considering a divorce, there are some things that you should know about maintenance awards and how such decisions are made under Illinois law. The entire purpose of spousal maintenance is to help alleviate the impact of divorce on a financially disadvantaged spouse. In past generations, alimony was virtually a standard component of many divorce proceedings. This was due to the fact that in a large percentage of marriages, one spouse—usually the husband—was the primary or sole source of income. The other spouse—usually the wife—often worked much less, if at all, focusing instead on household and child-rearing duties. When such a couple divorced, it was nearly impossible for the lower-earning spouse to support herself, especially if she was also granted custody of the couple’s children. Therefore, a divorce judgment often obligated the higher-earning spouse to provide financial support either permanently or until the other spouse could become self-sufficient. Today, however, the landscape of the modern marriage has changed significantly compared to that in previous generations. More and more couple rely on the income of both spouses, and each spouse is often better equipped to support him- or herself. 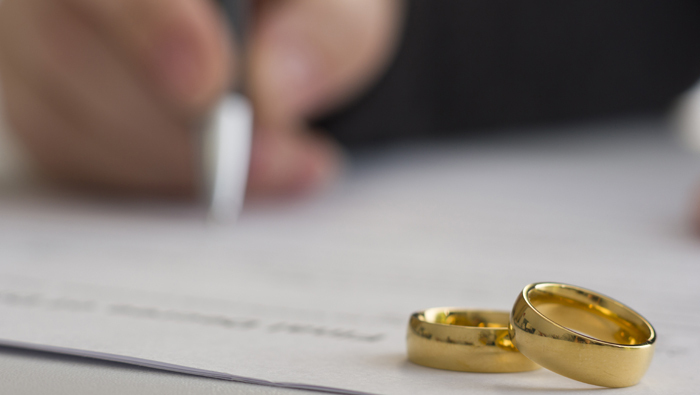 As a reflection of evolving social norms, the Illinois Marriage and Dissolution Marriage Act provides that maintenance is not presumed to be necessary in any divorce situation. Instead, absent an agreement between the spouses, the court may only order maintenance if it finds that a need for such support exists. The contributions of the spouse seeking maintenance to the other spouse’s career and earning capacity. Once the appropriateness of a maintenance award has been established, the court must determine the amount of the maintenance payments and the for how long they will continue. The law also includes guidelines for doing so, which will be addressed in an upcoming post. If you would like to learn more about the law regarding spousal maintenance in Illinois, contact an experienced Kane County divorce attorney. We will answer your questions and help you understand your options. Call 847-426-1866 or 630-945-8807 for a confidential consultation with a member of our team today. Many people feel as though they are stuck in a bad marriage due to the state of their finances. If you are dependent on your spouse’s income, you may be able to get temporary financial support for yourself and for your children as you work your way through the process of divorce. Under Illinois law, this type of support is called “temporary maintenance” and “temporary child support.” Temporary maintenance is often more easily awarded than standard maintenance—also known as alimony—which, when necessary, is awarded for longer periods of time after the divorce is final. Temporary maintenance is only awarded for the time between the filing of the divorce and when the divorce is made final. In determining temporary maintenance, a judge will consider the temporary arrangement for the parties’ children, the couple’s finances, and the financial obligations and needs of each spouse. The process for getting these two types of support is similar to the process for proving that you are entitled to alimony or child support, but there are some specific requirements in most cases. Documents that support the financial affidavit, including tax returns, pay stubs, and bank statements. These documents will not be made part of the permanent record of your case since doing so could create a risk for identity theft. Rather, they will simply be examined by the parties and the judge so that a determination regarding support can be made. The law also provides a mechanism for either spouse to contest the financial information provided by the other to the court. For an award of temporary support, there does not need to be an “evidentiary hearing,” meaning the parties do not need to testify or introduce evidence. The award can come after a simple “summary hearing” so long as the proper documents are made available to the court. In many cases, the lower-earning spouse can also get his or her interim attorney’s fees paid for—at least in part—by the higher-earning spouse. If you are thinking about getting a divorce, reaching out to a skilled family law attorney should be the first step you take. There are many financial issues that should be addressed by an attorney with a thorough understanding of divorce law. Contact an experienced Kane County divorce lawyer at Pucci Pirtle for a confidential consultation today. Our team will guide you through the divorce process and answer any questions you may have along the way.